Looks as if Louise was enjoying her carriage ride around Windsor - the autumnal colours look gorgeous there! I wonder if she will ever ride competitively in the future. 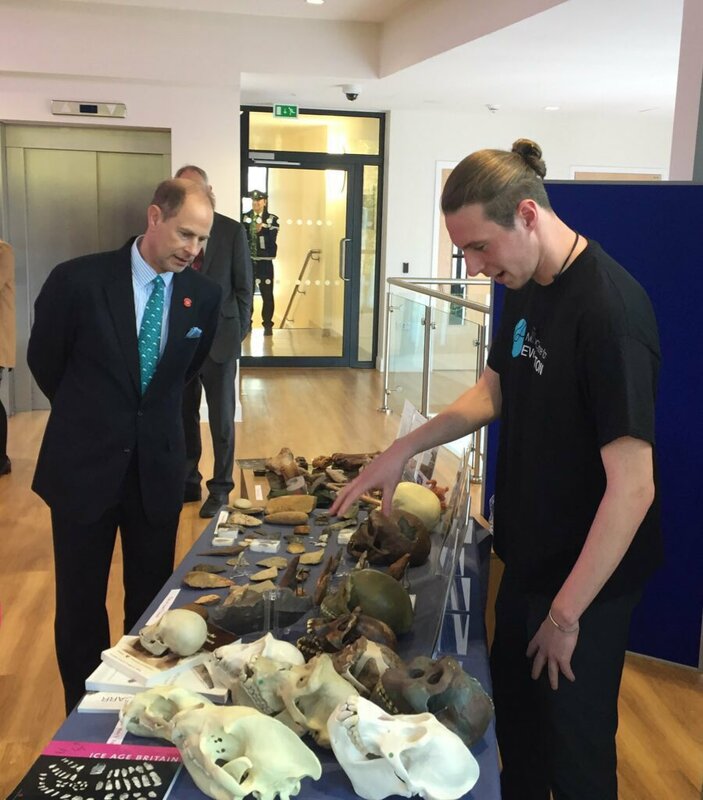 The Earl of Wessex, Chairman of the Board of Trustees, The Duke of Edinburgh's International Award Foundation, today carried out the following engagements in Accra, Ghana. His Royal Highness this morning attended the Closing Plenary of the Forum at the Labadi Beach Hotel, La Road. The Earl of Wessex this afternoon attended a Luncheon with Trustees at the Labadi Beach Hotel. His Royal Highness afterwards attended an International Council Meeting at the Labadi Beach Hotel. The Earl of Wessex this evening attended a Dinner at the Kempinski Hotel Gold Coast City Accra, Gamel Abdul Nasser Avenue. His Royal Highness this morning attended an International Trustees Meeting at the Labadi Beach Hotel, La Road. The Earl of Wessex today attended a Luncheon with delegates at the Labadi Beach Hotel. His Royal Highness this afternoon attended a Meeting at the Labadi Beach Hotel. The Earl of Wessex this evening departed from Kotoka International Airport for the United Kingdom. The Earl of Wessex this morning arrived at Heathrow Airport, London, from Ghana. Colonel Paul Arengo-Jones was in attendance. The Earl of Wessex, Chancellor, University of Bath, this morning held a Meeting. 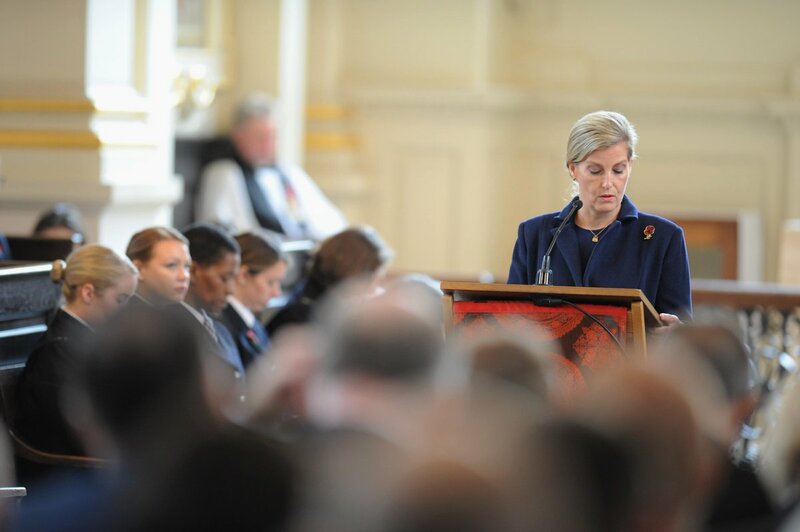 The Countess of Wessex this morning attended a Commemoration Service at St. Martin-in-the-Fields, Trafalgar Square, London WC2, to mark the Centenary of the end of the Great War and was received by Her Majesty's Lord-Lieutenant of Greater London (Sir Kenneth Olisa). Her Royal Highness afterwards visited the Queen Mother's Clothing Guild Packing Week at St. James's Palace. The Countess of Wessex this afternoon opened the Thames Valley Air Ambulance Headquarters, Stokenchurch House, Oxford Road, Stokenchurch, and was received by Her Majesty's Lord-Lieutenant of Buckinghamshire (Sir Henry Aubrey-Fletcher, Bt.). The Earl of Wessex, Chairman of the Board of Trustees, The Duke of Edinburgh’s International Award Foundation, this afternoon received His Excellency the Hon Paul de Jersey (Patron). His Royal Highness, Chairman of the Trustees, The Prince Philip Trust Fund for the Royal Borough of Windsor and Maidenhead, later chaired a Meeting and this evening attended a Dinner at Combermere Barracks, Windsor, and was received by Mr Andrew Panter (Deputy Lieutenant of the Royal County of Berkshire). 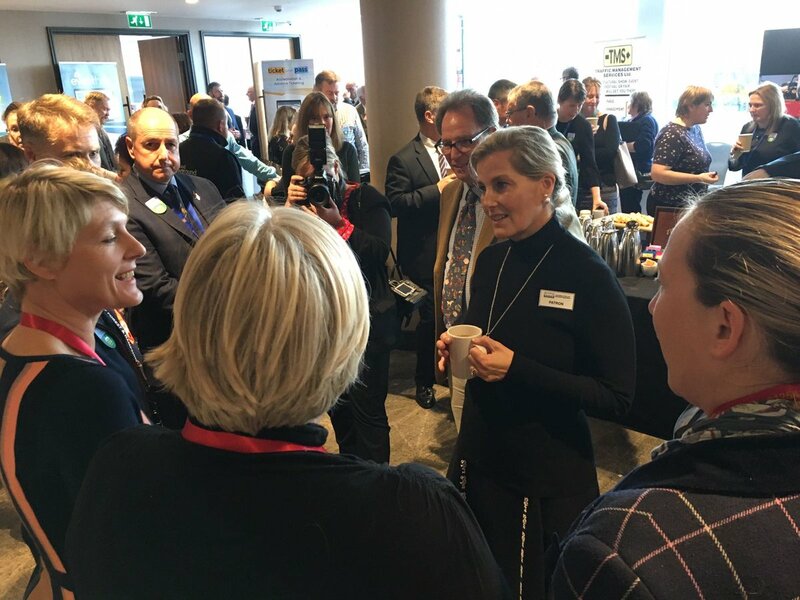 The Countess of Wessex, Patron, this morning attended the Awareness Foundation International Conference at Copthorne Tara Hotel, Scarsdale Place, London W8, and was received by Lady Arnold (Deputy Lieutenant of Greater London). The Earl of Wessex, Trustee, The Duke of Edinburgh's Award, this afternoon held a Meeting. The Countess of Wessex, Patron, National Society for the Prevention of Cruelty to Children, this morning attended the Keeping Children Safe in West Wales Conference at Aberystwyth University, Penglais Campus, Penglais, Aberystwyth, and was received by Her Majesty's Lord-Lieutenant of Dyfed (Miss Sara Edwards). Her Royal Highness, Patron, National Society for the Prevention of Cruelty to Children, this afternoon visited St. Padarn's Catholic Primary School, Llanbadarn Road, Aberystwyth. As Patron of the same society she also attended a conference and reception at Aberystwyth University. The Queen, Patron, was present this evening at the Royal British Legion Festival of Remembrance at the Royal Albert Hall. The Prince of Wales and The Duchess of Cornwall, The Duke and Duchess of Cambridge, The Duke and Duchess of Sussex, The Duke of York, The Earl and Countess of Wessex, The Princess Royal and Vice Admiral Sir Tim Laurence, The Duke and Duchess of Gloucester, The Duke of Kent and Prince and Princess Michael of Kent were present. The Queen was present this morning during the Ceremony at the Cenotaph on the occasion of Remembrance Day. Wreaths were also laid by The Duke of Cambridge, The Duke of Sussex, The Duke of York, The Earl of Wessex, The Princess Royal, The Duke of Kent and Prince Michael of Kent. The Duchess of Cornwall, The Duchess of Cambridge, The Duchess of Sussex, The Countess of Wessex and Vice Admiral Sir Tim Laurence were present during the Ceremony. The Earl and Countess of Wessex this afternoon attended the Welsh National Service of Thanksgiving to mark the Centenary of the End of the First World War at Llandaff Cathedral, Cardiff, and were received by Her Majesty’s Lord-Lieutenant of South Glamorgan (Mrs Morfudd Meredith). The Earl of Wessex this evening attended the Ministry of Defence Defence Employer Recognition Scheme Gold Award Ceremony at Lancaster House, London SW1. The Countess of Wessex this morning opened the newly restored Royal Victoria Chapel at Royal Victoria Country Park, Netley, Southampton, and was received by Her Majesty’s Lord-Lieutenant of Hampshire (Mr Nigel Atkinson). 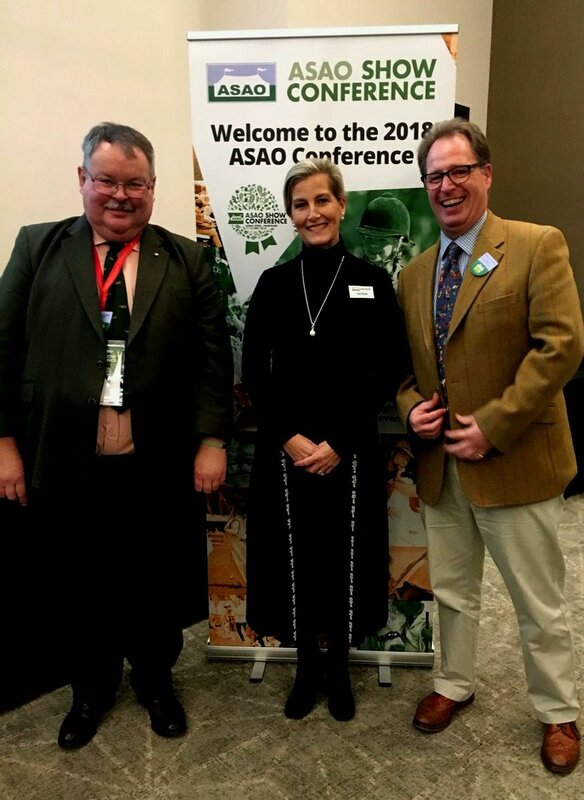 Her Royal Highness, Patron, Association of Show and Agricultural Organisations, this afternoon attended the National Conference, the Ageas Bowl, Botley Road, West End, Southampton. The Earl of Wessex, Court Assistant, the Worshipful Company of Fuellers, this morning held a Meeting. His Royal Highness, Vice Patron, Commonwealth Games Federation, today held a Meeting. The Earl of Wessex, Trustee, The Duke of Edinburgh’s Award, this afternoon held a Trustees’ Meeting. His Royal Highness, Trustee, The Duke of Edinburgh’s Award, later held a Meeting. The Earl of Wessex, Trustee, The Duke of Edinburgh’s Award, this evening attended a Trustees’ Dinner at Claridge’s, Brook Street, London W1. 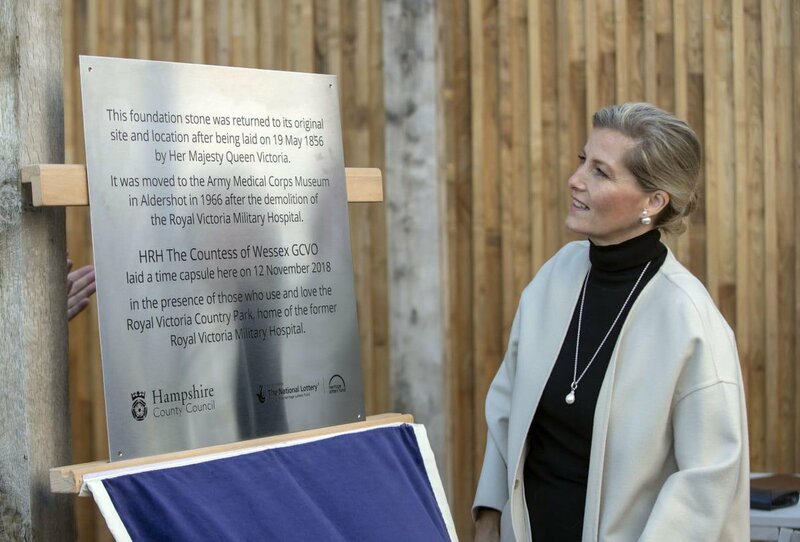 The Countess of Wessex, Patron, the Scar Free Foundation, this afternoon opened the Centre for Conflict Wound Research at Queen Elizabeth Hospital, Mindelsohn Way, Edgbaston, Birmingham, and was received by Her Majesty’s Lord-Lieutenant of West Midlands (Mr John Crabtree). Her Royal Highness subsequently visited Miss Macaroon, 8 Great Western Arcade, Colmore Row, Birmingham. 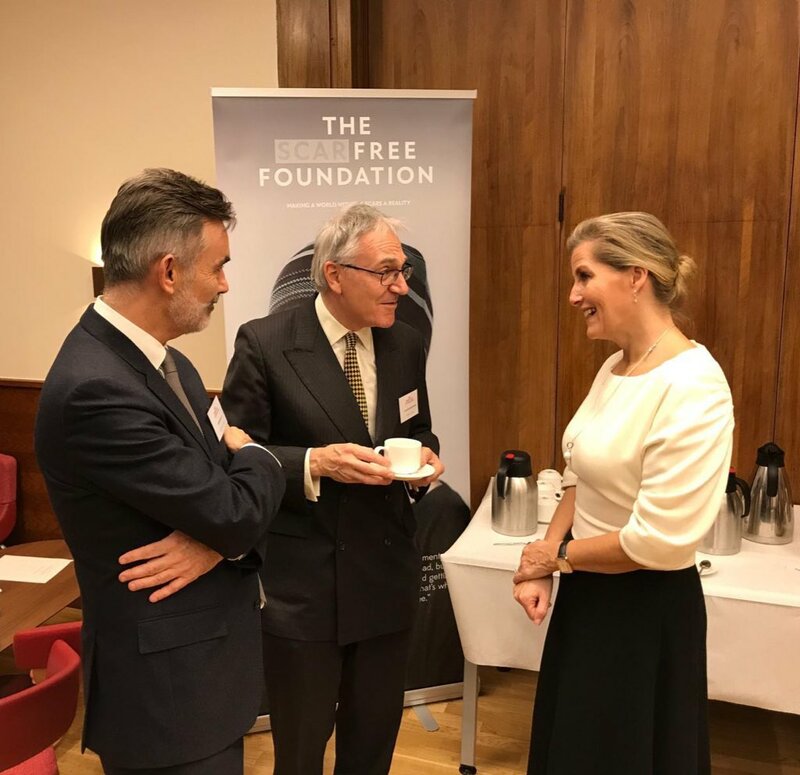 The Earl of Wessex, Trustee, The Duke of Edinburgh’s Award, this morning attended a Business Breakfast Meeting at the Caledonian Club, 9 Halkin Street, London SW1. 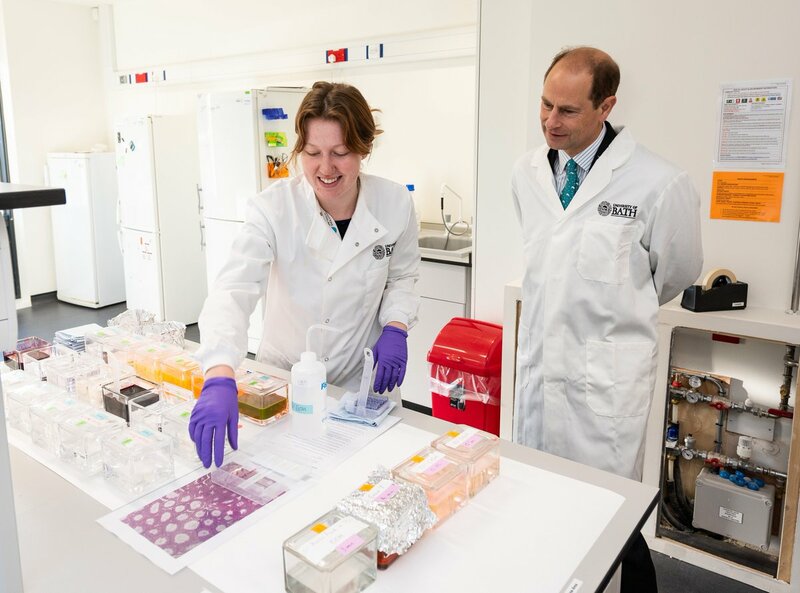 His Royal Highness, Chancellor, University of Bath, later visited the Department of Psychology and Milner Centre for Evolution at the University of Bath, Claverton Down, Bath, and was received by Mr John Cullum (Deputy Lieutenant of Somerset). 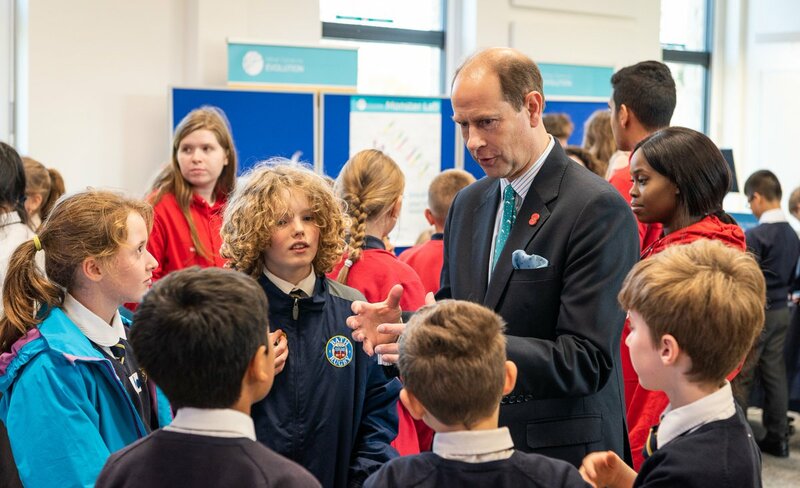 The Earl of Wessex, Trustee, The Duke of Edinburgh’s Award, this morning visited the Oxford Academy, Sandy Lane, West Littlemore, Oxford, and was received by Her Majesty’s Lord-Lieutenant of Oxfordshire (Mr Timothy Stevenson). His Royal Highness, Chairman of the Board of Trustees, The Duke of Edinburgh’s International Award Foundation, afterwards visited Oxford University Tennis Club, Merton College Fellows’ Garden, Oxford, as part of The Duke of Edinburgh’s Award Real Tennis Tour. The Earl of Wessex, Trustee, The Duke of Edinburgh’s Award, this afternoon held a Meeting at Magdalen College, Oxford. His Royal Highness, Trustee, The Duke of Edinburgh’s Award, this evening attended a Dinner at Magdalen College. Happy 5 year Anniversary to the Chancellor!